Rainy days have a reputation of being dull and dreary, but on Prince Edward Island they can be as fun as the sunny ones! Whether perusing locally made treasures in idyllic locations or playing laser tag in an action packed arena, there is an indoor activity for everyone. Here are 11 of our favourite ways to beat the rain. The Cavendish Beach Adventure Zone is home to the Route 6 Motel Haunted Experience and The Hangar Laser Tag Arena. With a haunted motel to get lost in and a laser tag arena that is black-lit, fog-filled, and packed with challenging obstacles, this will be the perfect antidote to any rainy day blues. If the rain clears by the time you’ve finished all of this, make your way to the River of Adventure Miniature Golf. The course even places you in peril of being eaten by a giant lobster and has a mix of challenging and ingenious holes. Fall in love with headstrong and stubborn Anne and the delightful characters of Anne of Green Gables – The Musical at the Confederation Centre of the Arts in their warm and cozy theatre. Ice cream is one delicacy that is delicious indoors and out. With whimsical T-shirts and merchandise to laugh at, a free self-guided tour of the production and Canada’s best ice cream at your fingertips, COWS Creamery in Charlottetown is a great place to take cover from the rain. Have you ever mingled with the stars? Amp up your selfie game with a trip to Wax World of the Stars in Cavendish! And nearby at Ripley’s Believe it or Not! you’ll find all kids of wacky and hilarious fun. After an interactive and informative experience, the whole family is sure to leave laughing. You can’t leave the Island without learning about an important part of Island history and culture – potatoes! With 7000 square feet of ‘all things potato’, you’re sure to leave the North Cape Coastal region with a new understanding and appreciation about Island spuds. Make sure to stop and take a picture with the World’s largest potato sculpture on your way out! Tucked in the town of Kensington, the Haunted Mansion is a fun and interactive experience, with options to bypass certain areas it will satisfy everyone’s thrill level! Test your will power and see just how adventurous your spirit really is. For a small province, PEI has an abundance of incredible art. Whether on a rainy day or a perfectly sunny one, make sure to visit the Tony Diodati Art Gallery nestled in beautiful French River. The escapist and romantic surrounding provides Tony the perfect combination to create his incredible original paintings and limited edition prints on Atlantic Canada. Find even more Island-made treasures at Village Pottery or Island Winds to add a touch of Island flare to your home, wherever that may be. A fun way to make your vacation memories last forever! With tons of different costumes and backgrounds to choose from, everyone will want their own copy. No Island stay is complete without a Ceilidh or two! Join the locals in Clinton Hills and revel in the brother-sister talent at the Ross Family Ceilidh. There is nothing like jamming out to some toe-tapping, hand-clapping Island tunes. Pop by the Magik Dragon in Murray River or Montague, or Nesseya’s Gems & Jewels in Charlottetown for a unique and beautiful souvenir you couldn’t find elsewhere. This could be the perfect gift for someone back home, or better yet the perfect gift for yourself! Who says you can’t enjoy the water even when it’s not so nice out? With three pools, a hot tub, a slide, diving boards and much more, you can’t go wrong spending your day splashing indoors at the Bell Aliant Centre in Charlottetown. 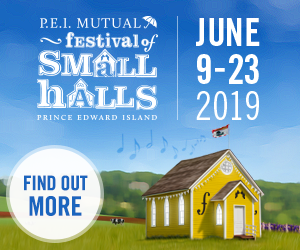 For more tips on things to do in PEI, check out Festival Roundup, What the Locals Say You Can’t Miss, and Things to Do in Charlottetown.